Laboratory of Physics of Magnetic Phenomena headed by Leonid Vasil’evich Kirensky. Laboratory of Biophysics headed by Ivan Aleksandrovich Terskov. Laboratory of Spectroscopy headed by Anatolii Vasil’evich Korshunov. In 1959, the Laboratory of Crystallophysics was organized and headed by Kirill Sergeevich Aleksandrov. In 1970, the Institute was named after Academician Leonid Vasil’evich Kirensky. Academician of the RAS Vasilii F. Shabanov (2003—2011). Dr. of Phys. and Math. Sci. Nikita Valentinovich Volkov (2011- 2017). Since May 2017, the Institute has been led by Dr. of Phys. and Math. Sci. Dmitriy A. Balaev. 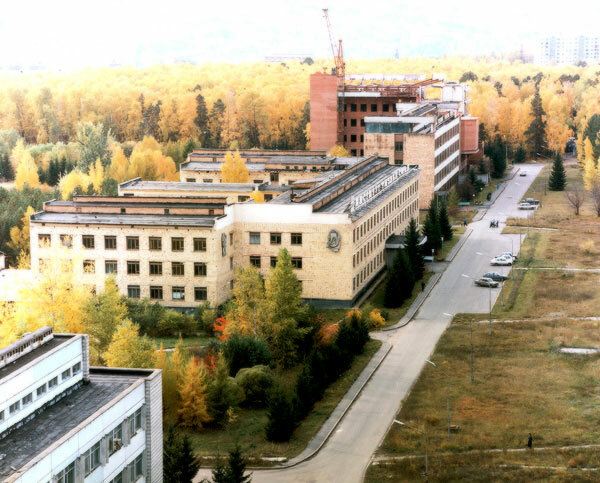 At present, the Kirensky Institute of Physics is a Federal state budgetary institution, a noncommercial scientific organization within the Siberian Branch of the Russian Academy of Sciences. The Institute’s structure comprises 14 laboratories. Physics of Condensed Matter (dielectrics, magnetic materials, nanostructures). Physical Materials Science (materials for electronics and spintronics, superconducting materials). Optics and Laser Physics (photonic crystals, novel optical materials, techniques, and devices). Radiophysics (radiophysical methods for environmental diagnostics). Synthesis of new dielectric, ferroelectric, and ferroelastic crystals; complex experimental study of their structure and properties; development of the methods for their description and for predicting the structure and characteristics of materials. Study of electromagnetic wave propagation in composite photonic crystals, including those with the liquid crystal components; development of the methods for controlling the light field parameters on the basis of the photonic crystals; fabrication of novel functional materials and devices for optoelectronics and information technologies on the basis of the liquid crystals capsulated in polymeric matrices. Development of the unique technology of the group crystal growth from fluxes, which allows obtaining large high-quality crystals; synthesis and complex investigations of the magnetic state and spin dynamics of new oxide copper compounds; development of the theory of the incommensurate state and the spin dynamics in these systems. Experimental and theoretical study of the dynamic and kinetic properties of strongly correlated systems, inhomogeneous media, meso- and nanostructures; discovery of fundamentally new physical effects in the systems with strong electron correlations, such as high-temperature superconductors, manganite crystals with colossal magnetoresistance, fullerenes and fullerene-based systems; development of the theory of quantum transport in integrable billiards. Fabrication of integrated microstrip devices on dielectric substrates for microwave engineering, automated systems for designing and manufacturing of microwave components; development of fundamentals of the description of nanometer electronic systems; investigation of the effect of inhomogeneities on the electromagnetic wave spectrum and attenuation in superlattices.